Even though coffee is acidifying, it’s a rich source of bone-building polyphenols. So I really enjoy my cup of coffee at breakfast. But I make sure to avoid creamers that could turn my morning cup into a toxic, bone-damaging beverage. Most commercial creamers are loaded with sugar, artificial sweeteners and flavors, hydrogenated oils, and acidifying chemicals. This is true with powdered, liquid, dairy, or non-dairy creamers. So to make my morning cup as delicious as possible, I often use these alkalizing, DIY creamers in flavors that fit perfectly with the coming autumn. After you read more about how toxic your coffee creamer really is, I’m sure you’ll be ready to give these recipes a try. As the name implies, creamers are added to coffee to produce a creamy texture and often a flavor, such as hazelnut or vanilla. In the “old days,” coffee creamer contained actual powdered cream and sugar, and while not necessarily healthy, it was basically a dry version of liquid cream and sugar. All that changed as manufacturers sought to make creamers as inexpensively as possible, and swapped out the real ingredients for synthetic chemicals and processed substances. Here’s a good example. A popular brand of powdered coffee creamer lists the following ingredients on its label: corn syrup solids, hydrogenated vegetable oil (coconut and/or palm kernel and/or soybean), sodium caseinate, less than 2% of dipotassium phosphate, mono- and diglycerides, sodium aluminosilicate, artificial flavor, annatto color. There really are no true “food” ingredients listed there! Let’s take a look at a few of them. Corn syrup solids are a highly altered state of liquid corn syrup (itself a highly processed product). First of all, corn syrup is generally derived from GMO corn. Then, to make the syrup solid, the water is removed and you’re left with a thick, concentrated form of corn syrup that can be classified as “solid.” It’s also listed as dried glucose syrup on some ingredient lists. Because it’s super-sweet, manufacturers can use very little to sweeten their products, thus saving money. Hydrogenated oils, or trans fats, are also oils that have been processed out of their natural form. Hydrogenation involves the infusion of tiny bubbles of hydrogen gas into the oil to make it solid at room temperature. The purpose of adding these trans fats to a product is to increase the shelf life. But trans fats are extremely unhealthy in any amount, because they are treated as normal fats in your body and transported into cells. Once there, they can’t be broken down properly and persist in your system (they are all about long shelf life, after all). Trans fats have been implicated in a host of health problems, and there’s no question that they are terrible for your bones. Sodium aluminosilicate neutralizes stomach acid and is often found in commercial baking powder. It’s added to coffee creamer as an anti-clumping agent, which is why you’ll also find it in table salt. It contains aluminum, the ingestion of which is not good for your brain or your bones. Mono- and diglycerides are synthetic fats used to extend shelf life and force oils and fats to combine in a product. Many manufacturers derive mono- and diglycerides from animal fats, making them unsuitable for vegans but not making it clear on the label that animal products are used. When you break it all down, coffee creamers are a bunch of toxic chemicals! So why not choose a coffee creamer that tastes delicious and contains bone-healthy ingredients? You can, with these DIY recipes. The base for each of these is 2 cups of plain, unsweetened almond milk. Both are prepared in a blender on high speed, but take care not to blend for more than 15 seconds. Otherwise, the ingredients will begin to separate. This rich, warming creamer combines the nutty flavor of pecans and almonds with honey and cinnamon. Place pecans and almonds in cookie sheet and toast them in the oven at 350F for about 10 to 15 minutes or until they start giving off their aroma. Blend all ingredients until the nuts are chopped fine. Place in a saucepan over low heat, and allow to steep for at least 30 minutes. Strain, pour into a container, and refrigerate. Shake well before using. Spicy and sweet, this creamer will conjure up memories of Christmas cookies and holiday celebrations. Blend all ingredients, pour into a container, and refrigerate. Shake well before using. This one is perfect for fall. It would make an excellent ending to a Thanksgiving meal. Blend all ingredients until well combined. Pour into a container and store in the refrigerator. Shake well before use. If you didn’t get the Osteoporosis Reversal Program yet, you might think that when you follow it you have to give up all acidifying foods because they’re “bad.” If you hold that point of view, you might wonder why you should bother with coffee creamers since coffee is acidifying. The reason is simple: it’s perfectly fine to enjoy a cup of coffee (or any other acidifying food, in the right proportion). And these alkalizing creamers not only taste scrumptious; they also help to balance out the acidifying coffee. Avoiding all toxins is simply not realistic. No one can spend their life in a protective bubble! Even if they could, it would ultimately be an unhealthy choice. It’s important to get out, interact with others, and live life – avoiding toxins wherever you can, of course, but understanding that there’s no need to go overboard. 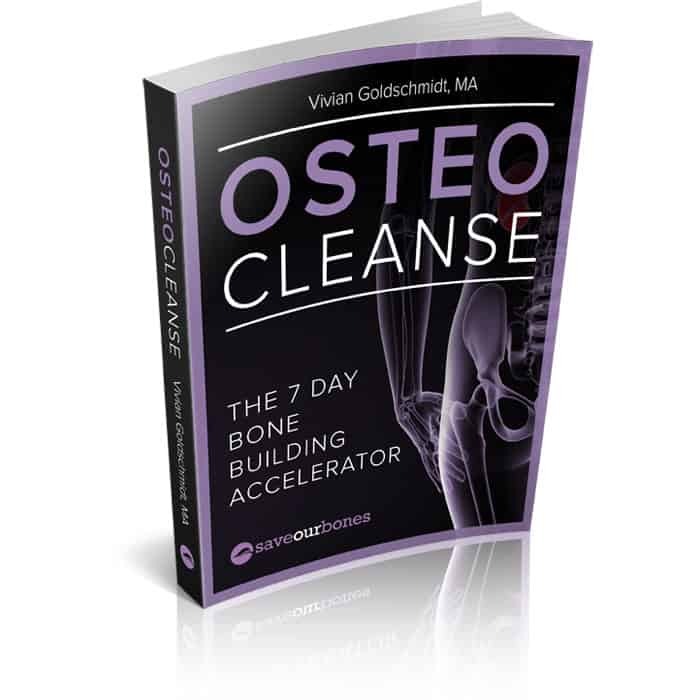 When you spend a week doing OsteoCleanse™, The 7 Day Bone Building Accelerator, you can rest assured that you’re doing what you need to do in order to remove any toxins you may have ingested, breathed, or otherwise taken into your body. The unique dietary guidelines in OsteoCleanse™ help “dislodge” and flush out acidifying toxins, thereby minimizing the effects of the inevitable toxin exposure and renewing your bones. Cleansing periodically helps you to relax and enjoy life with fewer worries about environmental poisons. I can’t wait to hear how you enjoy the creamers. Please let us know how these recipes go, and feel free to share other bone-healthy substitutes with the community. I would also like to know how long the creamer will stay in the refrigerator. My apologies if I overlooked the answer above. This is the first I ‘ve heard something bad about almonds. I eat a lot of them. Is this now something I must avoid? I’m curious…I use ‘Natural Bliss’ Hazelnut flavor coffee creamer. ( only 4 ingredients) in my 2 cups of coffee in the mornings, this is the flavoring I use. Do you have a recipe to make Hazelnut flavor using Almond-Coconut milk? I also cook with Almond-Coconut milk. Thank you for your wonderful articles! be able to drink coffee again. I love the pecan pie coffee creamer. However, is there a reason you have to strain it? I also like the “bits” of nuts. Hi Vivian, I made the pecan pie coffee creamer, wow, it’s delicious, can’t wait to try the other ones. You are a God sent. Glad you liked it, Evelyn! Thanks for sharing everything from recipes to health tips. Kind of refreshing; most unlike some others who claim to want to help people get healthier, but you have to pay $37 and before you finish puttin in your credit card info, you are bombarded to pay for another text that work together with the first one purchased. Oh Vivian, I live in Jamaica,, don’t think I can find pumpkin spice…..What are the spices that make up pumpkin spice? I was so excited to get the recipes for the creamers as I do love my coffee. I made the “Pecan Pie” one and am really enjoying it. Can’t wait to try the others as well – but pat-ien-ce is a virtue..someone once said??? I am really interested in how hooked on this creamer everyone is. We have it in England but I don’t know anyone who uses it. I saw someone commented about the lack of creaminess in alternatives and I relate to this. My weakness is coffee and full fat double cream, Yum! I tried single cream but used twice as much and had half the satisfaction. I do sometimes add a spoon of coconut milk and I alternate coffee and warm lemon. What I love about the 80/20 diet is that if you want to drink lots of coffee you just have to eat more veg. Am I right in thinking that cow cream is neutral? If this is the case is it not better than milk or creamer? Someone else asked about cream, I would be grateful for an answer. Since November 2014, I’ve been drinking my own form of Bulletproof Coffee – originally formulated by Dave Asprey, author of the Bulletproof Diet. It consists of organic coffee (I get mine from a little French cafe here in Southbay, Los Angeles, Le Pain Quotidien (a small cafe chain), 17.6 ounces for $11.95 out the door.) This coffee is grown in Peru and processed in Belgium (Europe has higher organic standards than U.S.). To that, add a tablespoon of butter from grass-fed cows (Kerrygold – silver pack), one hefty tablespoon coconut oil – and I add a tablespoon of MCT oil (MCT stands for “medium chain triglycerides”) derived from coconut oil (it comes from palm oil too – but I do not support that industry). For those without a gallbladder due to removal or those unable to process fats well – this might not be easily assimilable. This combination powers me up and quells my appetite for 4-8 hours and remarkably maintains the body in a fasting-state according to Dave. Today, my skin exhibits an amazing sheen instead of dry & flaky as it was before – and no longer needs to be moisturized – except my feet! On occasion I can feel a little queasy from the oils – but it passes after a few minutes and I’m fine, powered up and clear headed. Since our brains contain a high percentage of fat – getting good fats in our bodies is a good thing to clear mental fog. Oh, one other thing – blend it in a blender or with a stick blender to combine well!!! Yes, it takes time to prepare – but well worth the effort! Thank you for the creamer substitute suggestions. I have been enjoying a mocha flavour by simply adding dark chocolate almond milk (right from the dairy case) to my morning coffee. I gave up all sugar in my diet over a year ago, as I was told I was pre-diabetic. As a coffee drinker for over 70 years, this was a blow. It was suggested that a teaspoon of butter (no kidding) in a cup of black coffee would replace my cappucino. I tried it & if you use your blender, it works. I use Vanilla Soymilk in my coffee everyday. Is there a reason why you didn’t suggest Soy? I don’t recommend soy to anybody, Janet. Most soy crops are genetically modified and heavily sprayed with chemical pesticides. Hi Vivian. What is the point of toasting the nuts beforehand? Will the natural oils in the nuts be damaged and be of no benefit? I have read that it sets the oil but that is not an explanation. In general, I have read that nuts are better raw than toasted. Good question, Ralph. Toasting the nuts lightly gives a nice “roasted” flavor to the creamer while preserving the nuts’ alkalinity. And roasting may release certain nutrients that would be unavailable in raw nuts. What references do you use to determine which food is acidifying and which is not. Some things I read to not agree with you. Also I send you an email several weeks ago asking for your throught and advise since I have to take nexium twice a day and you never responded to me which disappoints me greatly.I ordered your books probably at least a year or more ago. Please check it out and email me back as I would appreciate it very much due to all the problems I have. I was the one going to a doctor who treats natural. Vivian, I admire you! Giving so many essential tips, for nutrition and exercise, that’s something no one else I know manages to do. 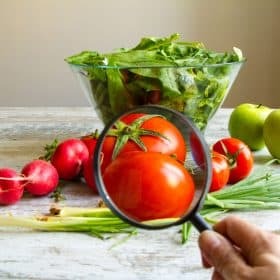 As a nutritional scientist I learned – 15 years ago – that one need not pay any attention to “acidifying” and “alkalising” foods because our bodies can deal with any kind of food. In the meantime, through much reading and thinking, I have come to a different conclusion and agree with you that the bulk of our food should be alkalising. However, I have a big problem: the tables and lists do not always agree, and I have no idea how it is determined which foods are acidifying and which the opposite. What references do you use? what about cream directly from the cow? Like cow’s milk, cream is also acidifying, so it would not have the pH-balancing effect that these DIY creamers do. Seeing the discussions about almonds has me puzzled. The reference in our SOB program book says almonds are alkalizing. I have used almonds and raisins as one of my “go to” snacks. Betty, almonds are certainly a great (and delicious) way to alkalize your pH. As with everything else, the key is balance and variety. So keep that in mind, and you’ll be just fine! Thank you for all the information that you put out there. I try to do my best to do the right thing for my bones, but I am sure I could do more. The only thing about the creamers…is….that I am not a person who cares for flavored creamers just only occasional…I am using creamers now that are organic, non-gmo, and no antibiotics used. Is that OK??? Sure, Becki. Plain creamer is fine, just make sure you balance your cup of coffee with an alkalizing snack. Enjoy! I can’t wait to try these creamer recipes…..since I have the cook book and like it very much. print button to print them easily for easy reference? Thanks for helping us live better lives ! Sounds delicious, June! Thanks for sharing and for your kind words. You should look into the effect of phytates contained in almonds. They block the absorbtion of vitamins and minerals and contain PUFAs, which are not good for general health. I found this article in a quick search…. I just read the linked article re nuts and I would like to know what Vivian thinks about cutting out almonds, almond milk, oats, etc. from one’s diet. My diet revolves around what the article stated we should not be eating. Help! I have been putting almonds on top of my fruit snd yogurt I the morning as I thought almonds were alkaline so is this not the case? Thanks for the recipes. However, what I (probably many of us) NEED is an EASY & QUICK DIY powdered creamer alternative. I LOVE POWDERED CREAMER …yes, it’s horrible for us, I know! 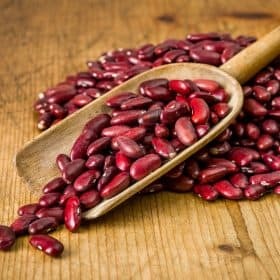 I’ve been trying to find an alternative that is healthier, tastes similar, cost efficient & EASY! I’ve yet to find anything. I’ve tried using various liquid “milks” (i.e., almond, coconut & even evaporated) …but the problem is they don’t taste “creamy” to me & I have to use a lot of it to get the flavor …thus it’s more expensive & because they’re refrigerated you only have a few days to use it. I even was going to try the powdered milk, as some online reviews said that was the closest they could find, but the sugar content is quite a bit. You can buy the low-fat, but it’s still a lot more fat than what the regular powdered creamers have. HELP …any CHEAP, EASY & TASTY ideas are much appreciated. However, needs to taste same or similar to powdered creamer, or it’s a no-go for me! Additionally, I’ve been using the ‘pink stuff” for my sweetener for years. It’s the ONLY one I can find that I like. I’ve tried brown sugar, honey, even coconut cane sugar, Stevia & etc ….NONE of which I like! 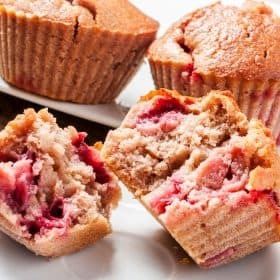 I can’t find something similar to the “pink stuff” that is healthy. ANY IDEAS ON THIS AS WELL WOULD BE SO APPRECIATED! I really-really want to have a healthier cup or two of coffee. However, if I don’t enjoy the flavor then I’m going to do as I’ve always done …revert back to using the regular powdered creamer & “pink stuff” to sweeten! Your recipes sound delicious, but for me that’s a lot of work to do just for a few cups of coffee. Plus, with arthritis ….less is easier. Then of course there’s the expense. I’m on SSDI, so with a limited budget it’s hard to find “cheap” & “healthy” food ideas …almost seems to be an oxymoron sadly! BTW …I have osteoporosis, due to Cushing’s Disease (not syndrome). So I’m trying to find additional ways to help strengthen my bones. This is a rare disease & it causes so much more than this, but this is a major side-effect. I have a tumor inside of the pituitary cavity that produces high levels of coritisol, which is the main culprit for my osteoporosis, muscle loss & too many other things to name. I had neurosurgery that removed about 85% of the tumor. Then 1 year later I had 25 doses of radiation to prayerfully shrink the remaining inoperable tumor. They say it takes 4-6 years to see any positive results. It’s only been 1 year since radiation & 2 since surgery, so my cortisol levels could potentially still remain extremely high for that long. That’s not good news for my bones …I’ve already lost 2″ in height over the past 3 years & I’m only 43! The radiation will also have negative effects on the pituitary cavity over the years, as they say it damages about 60% of the pituitary. So it’s a constant battle going on inside of me! So anything that’s helpful is helpful! Thanks in advance. Have a blessed day! Deb – you aren’t alone in your struggle. I have Crohn’s disease, which causes so many other problems beyond intestinal inflammation, including osteoporosis, and I’m only 46. I’ve been trying to weed out exposure to toxics, GMOs and other nasties in my diet, but creamer has been a tough one. I just want to feel normal at some point and have a simple cup of coffee…only to find that the artificial creamer is causing me damage too. Frustrating. I use Trader Joe’s almond, or soy milk in the Breville Frother. It gives me the creaminess I prefer. Other frothers will froth soy successfully. Sorry to hear about the many health challenges you have. For coffee I suggest organic coconut cream and raw honey. I do agree with lack of creaminess using almond milk but it’s a good alternate I guess. I only have 1-2 cups per day so I try not to worry about 1/3 c. Of 1/2 & 1/2.